The negotiations to modernize the North American Free Trade Agreement (NAFTA) are expected to begin in mid-August. The NAFTA Government Procurement Chapter is a ready candidate for modernization. 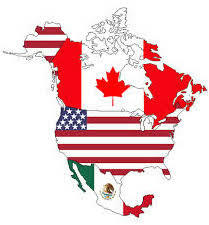 The NAFTA partners have already agreed on the need and means of updating the procurement text. Reaffirming that decision in the renegotiations would allow them to focus on the procurement to be covered under the Agreement. This post highlights the market access issues likely to arise in the procurement negotiations and considers whether they might incorporate results of the Trans-Pacific Partnership (TPP) negotiations. During the negotiations of the TPP, the NAFTA parties agreed in a side letter to replace the NAFTA procurement procedures with those in the TPP procurement chapter. The TPP text is largely aligned with the revised WTO Government Procurement Agreement (GPA), which entered into force in 2014. Implementing that decision in renegotiating NAFTA would bring that older-generation Agreement into line with other free trade agreements (FTAs) and the GPA. While the NAFTA parties have already agreed on the need and method of modernizing the procurement text, their market access commitments under the TPP are not uniform. In the TPP, Mexico incorporated the same procurement that it covers under the NAFTA. By contrast, Canada and the United States offered more procurement in the TPP than each covers under NAFTA or the GPA. If the TPP procurement coverage is moved into a renegotiated NAFTA, there will be disparity in coverage. The differences begin with thresholds, the monetary value above which procurement is subject to NAFTA rules. Currently, all the NAFTA parties apply the same thresholds, with the exception of a $25,000 threshold that Canada and the United States apply to the purchase of goods by their federal entities. (That threshold dates back to the original U.S.-Canada FTA.) The TPP deviated from other U.S. FTAs by permitting signatories to apply different thresholds. Under a second TPP side letter, Canada and the U.S. agreed to align their NAFTA thresholds with those they apply under the GPA and that they planned to apply under the TPP. Specifically, they agreed to increase the NAFTA thresholds for the procurement of goods ($25,000) and services ($77,533) to $191,000, and to reduce the threshold for construction services from $10 million to $7.4 million. Under the TPP, Mexico retained the NAFTA thresholds. Were Canada and the U.S. to re-new their threshold agreement and apply their GPA/TPP thresholds under NAFTA, would Mexico follow suit? Or would Mexico continue to apply NAFTA thresholds? Or will all the parties resort to the current NAFTA thresholds? The TPP differences continue with respect to the entities covered by the three countries under the TPP. In the TPP negotiations, only Canada and the U.S. added entities, which they do not cover under NAFTA. Currently, the U.S. covers fewer federal agencies under NAFTA than it does under other agreements. Under the TPP, the U.S. offered the most federal entities that it covers under any agreement – one more than the 85 entities it covers under the GPA. In the TPP negotiations, Canada offered 12 entities that it does not cover under NAFTA or the GPA. The new entities included several bridge and pilotage authorities, museums, PPP Canada Inc., Canada Development Investment Corporation and Canada Lands Company, Limited. A related entity-coverage issue for the NAFTA negotiations will be whether the U.S. should give Canada access to the procurement of its electric utilities (Tennessee Valley Authority and the Bonneville and other Power Administrations), as it did in the TPP. The U.S. had withheld those entities from Canada in the GPA and NAFTA because Canada had not opened the procurement of its provincial hydro utilities to the U.S. Moreover, Canada did not offer them under the TPP, but includes a number of its electric utilities in its FTA with the European Union. A renegotiated NAFTA would likely continue the current exclusion of the procurement of states and other sub-central entities. While the U.S. and Canada cover states and provinces under the GPA, and Canada offered its provinces under the TPP, Mexico has not opened the procurement of its states under any agreement. For the U.S., seeking state authorization to cover procurement under NAFTA would likely be a challenging and time-consuming process. With respect to the procurement of services covered under NAFTA, all three parties use a negative list, opening all services, except those that each lists. However, under the TPP, Canada opted to use a positive list, as it does in the GPA. So, an issue in the renegotiations will be whether the three countries follow the current NAFTA and base their coverage on a negative list. Under the TPP, Canada and the U.S. agreed to cover build-operate-transfer (BOT) contracts and public works concessions, but Mexico took an exclusion from that coverage. Will the renegotiated NAFTA see the same results? The most obvious outcome of a renegotiated NAFTA would be an upgraded procurement text, based on the TPP and GPA texts. If Canada and the U.S. expand their current NAFTA-covered procurement, will Mexico be persuaded to improve on its NAFTA coverage? This entry was posted in NAFTA, Trump Trade Policy and tagged Canada, Government Procurement, Mexico, NAFTA by Jean Heilman Grier. Bookmark the permalink.